CABINET secretariat has recently got two new faces, 1987 batch Odisha cadre IAS Tuhin Kant Pandey, currently in Planning Commission and 1993 batch Haryana cadre IAS Deepti Umashankar, now in DoPT. One is an MBA from a UK school, and the other knows French! Let’s know more about these two officers: Pandey and Umashankar. 49-year-old Pandey hails from the state of Punjab. An MA in economics and MBA from a UK school, Pandey was in Central deputation in the ministry of commerce in late 1990s. In early 90s, he was a collector in Odisha’s Sambalpur district. He also had a foreign stint in United Nations Industrial Development Organization (UNIDO). In 2009, he was appointed for a period of five years as deputy director general, in the Unique Identification Authority of India which was headed by Nandan Nilekani. Former deputy commissioner of Hisar and Gurgaon, 43-year-old Umashankar joined the Centre in December, 2010 as DoPT director before getting elevated as joint secretary. Hailing from Chandigarh, she studied public administration in Punjab University. She is also armed with a PG diploma in public policy and management from IIM-Bangalore, and is proficient in French. 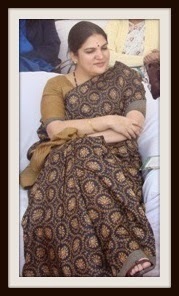 She also served as MD of Haryana Minerals Ltd and acted as Administer of Haryana Urban Development Authority (HUDA). 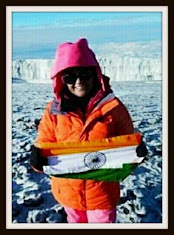 In 2009, she was awarded the Bharat Scouts and Guides’ prestigious Silver Elephant award. "The penalty for corruption is minimal. As a result, there is no fear of repercussions and there is no accountability. There is need for tougher punishment and to abolish the system of generalised administrators under the Indian Administrative Service (IAS) and replace it with specialists under a new ‘Indian Management Service (IMS)."